#49 What’s in the Box: Yanks. VASL’ing with Stew. Friendly Fire on Sale! 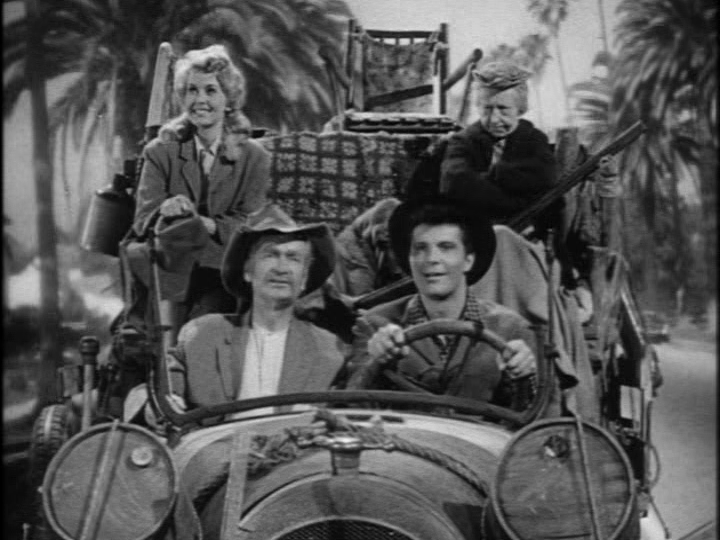 Off to ASLOK XXXI – Myself, Tim Brieaddy, Elly May & Granny have loaded the Opel Blitz and are heading to Cleveland. I will try to take lots of photos for you in the coming week. Shipping delay 1st week of October: The entire staff of Ritterkrieg (that’s me) will be attending ASLOK from the September30th – October 8th. We will be unable to ship until we get back. Please excuse this inconvenience. Not sure which board edge your opponent will chose to enter on? 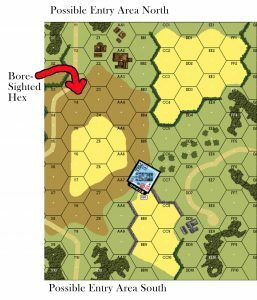 Why not set up facing one likely entry area while bore sighting a hex in a separate covered arc? The Panther is covering road hex on the southern tip of the hill but can swing the turret to cover the road on the north side of the hill and apply the Case M Bore sighting DRM for a -2 to the shot. There is no restriction in the ASLRB (C6.4) which states that the BS hex must be in the CA during set-up. This weeks sleaze is brought to you by Tim Brieaddy of Red Headed T-shirts. Recently I discovered VASL’ing with Stew. I am including the links to his great detailed videos of some classic scenarios. I think they are a wonderful learning tool for new players looking to get a grasp on both game concepts and tactics. I will have links to all of his videos on the site but will headline one video per post. So here is episode 1 which recaps ‘Fighting Withdrawal’ from Beyond Valor. Here is an interesting video clip showing what’s in the box for the new edition of Yanks. I am a little embarrassed but apparently we have always accepted credit cards. There is an option on the Paypal screen to pay by CC. #48 The Yanks are coming!!! ASLOK XXXI. Festung Budapest. Red October. Red Factories. I am so sorry for the infrequency of the Ritterkrieg updates. My wife and I have both failed our personal morale checks and now we are cleaning up the game board. I am thankful that there were many more two’s than twelve’s in our twenty years together. Things are slowly getting back to normal and I am looking forward to playing my first full scenario in over 5 months when I get to ASLOK next week. I am looking forward to seeing all of my old friends and meeting new ones that I only know up until now through Facebook and Ritterkrieg. Tim Brieaddy from Redheaded T-shirts is supposed to be coming with me as well, bringing his patches, t-shirts, coffee mugs, and bumper stickers with him. I will have a booth set up for the entire nine day convention with everything discounted below retail price. I am on Facebook as Ritter’s War Table. Please look me up and send me a friend request. Don’t have Paypal? Good news… we are days away from being able to securely accept credit card payments when checking out. By the end of this week this feature should be up and running. Thanks so much for your patience in this regard. 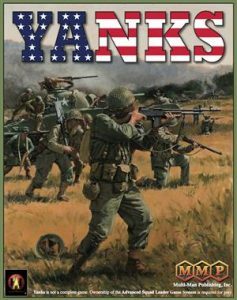 Yanks is in stock and ready to ship. We have a special price of $102.40 which includes shipping. That is a savings of over $35 from the retail price when you include the cost of shipping. We also usually ship same/next day. Pre-ordered Yanks at $96 and never got the invoice? We had a number of customers mention that their pre-order invoices were put in their junk mail folders. If you can’t find your invoice, simply buy it at regular price ($102.40) and send me a not that you had it on pre-order and I will refund the difference ($6.40). 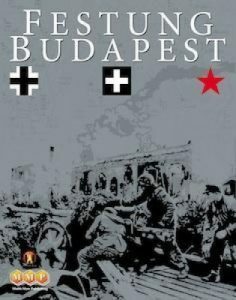 Festung Budapest on Pre-order. I spoke will Luanne and she was not sure what the production run will be but I got the impression it will be small. The retail price is $176.00 and we are putting it on pre-order for $132.00 with free shipping. 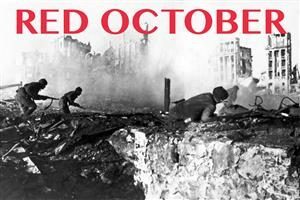 Red October, the newest Stalingrad campaign game is on pre-order. This module combines with Red Barricades. ‘But I don’t own Red Barricades’ you say? 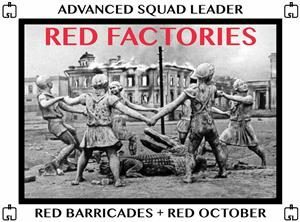 No worries, instead of Red October, you can purchase Red Factories and get Red Barricades and Red October together for one super low price. Red Factories, combining Red Barricades and Red October into one big package for one low price. If you thought ‘The Last Bid’ was just not meaty enough, now you can combine it with ‘Men of Steel”. The RB maps are new so some of you that already have the original RB maps may want to pick up the new version. Only days away now. Until last week I was still unsure if I would be attending but it looks like the ASL Gods have smiled upon me and I will be heading up to beautiful Cleveland for the entire nine day bonanza. I will be bringing as much ASL merchandise as I can fit in my car (yup, the ex-wife got the SUV ). Everything will be discounted to compensate for the shipping that I would have to be paying. I have gotten in new stock orders from BFP, LCP, Battleschool, Friendly Fire, and of course MMP. Unfortunately, with the separation I have not had the time or focus required to complete the much anticipated Sniper/ELR Cards. I will do all in my power to have them ready for ASLOK XXXII.